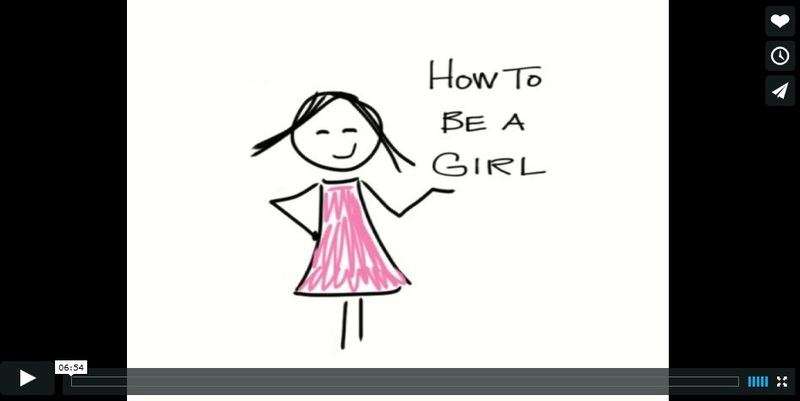 I’m excited to announce the first full episode of “How to Be a Girl” in over a year. It’s been a big (hard, but also wonderful) year, and there wasn’t much time or energy left over for blogging or podcasting. Your emails of love and support have kept us going. Please keep writing (genderawesome@gmail.com) and let us know how you are and what you think. We love hearing from you. This episode was a tough one to produce. It tells a story that wasn’t much fun to live through. But my daughter and I both learned a lot – about secrets and trust, friendship and forgiveness. I hope you get something from it, too. Thanks so much for listening. If you’d like to support the podcast, please consider signing up to sponsor us on Patreon. It really helps, and we’re grateful for the support. Welcome back! It sounds like you both handled this particular betrayal just fine. However, as you so rightly pointed out, in several short years M will be entering that whole puberty phase & that is also a time when some peers can be vicious. So, being flexible on your feet may have to be an ongoing tactic. M is wise beyond her years & with your help & guidance, have all the tools she needs to not only survive, but thrive as a female person. You know, it’s a very delicate line between securing your privacy as a trans girl/woman in any given environment & at the same time being proud of who you are (NOT feeling ashamed). I have always been discreet, but have told selected colleagues & friends & discover that my “secret” has ultimately been outed. In some ways it is a relief, but then again I’ve never been bullied about it. Only when I was a child & into my teens. After that, nothing. So, as the saying goes, “It Gets Better.” Thanks for sharing. I’m really sorry this happened. I wonder if you are part of a queer community? I know you are in a support group and have trans people in your lives, but I often think about how, as a queer, genderqueer parent of a gender-nonconforming kid, I have already been primed to deal with some of the issues our kids deal with (being out or outed, being bullied, feeling unsafe or different, being proud of being different, having a different reproductive future or romantic future than what my parents imagined for me). And this doesn’t necessarily make me any better at dealing with my kid’s issues than a straight person, but it means that our community is more able to support us when we have these issues, and that my kid has an idea (possibly exaggerated!) that grown-ups have lots of gender and sexual diversity. So anyway, yeah. Do you guys have queer friends? Do you want queer friends? Also, I just want to say again how strong I think you are and how great your kid is. Also, I really hope this did not come off as condescending or critical. I think you are so brave and such an obviously great parent!